In-bound links are a major part of Search Engine Optimisation and acquiring themcan be a cumbersome task. Link addresses, email addresses, anchor text anddescriptions get misplaced, code gets miss-written and link managers becomestressed. I am still yet to find a piece of software which delivers the results that Idesire from a link building program. 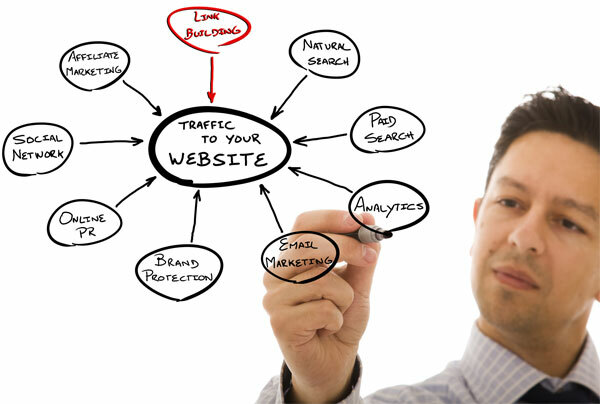 Despite this link building is a major aspect of asuccessful Internet Marketing Campaign. In designing a link building campaign there are many attributes that need to betaken into account. The following needs to be decided: the form of inbound linksdesired, linking anchor text and description, theme of sites (if any) accepted and thedesired link acquisition method. Lets start by discussing the form of in-bound linksavailable. There are many forms of in-bound links: reciprocal links, one way links and thegrowing trend of triangular links. Reciprocal links are links which are traded with themost ferocity by Search Engine Optimisation Professionals as they are the easiest toattain. One way links are the most sought after links but the hardest links toachieve. Triangular links are the middle child, they are better than reciprocal linksbut, as there is an outbound link involved, they are not as good as one way links. Agood internet marketing strategy will include all of the above type of links as they alloffer benefits to a sites search engine position and overall success. Anchor text and description generation is one of the most important aspects of asuccessful link campaign. A well structured, key word rich, anchor text anddescription can result in greater key word emphasis to search engines and higherclick through ratios. When building anchor text and description take into account theresearch results of Pay Per Click advertising. Advertisements which have the firstletter of every word capitalized receive the greatest click through ratio – implementthis in your anchor text and description. In-bound links are not only good for greatersearch engine position but also for traffic! I have seen sites that get 25% of theirtraffic from in-bound links! When acquiring links for a site you need to decide whether you will only accept linksfrom sites of a relevant theme, pages of a relevant theme or sites and pages of anytheme. For example if your site is a travel related site, will you only accept linksfrom other travel related websites/webpages or from any website/webpage. Thisdecision has a major influence on success as it can drastically affect your linkacquisition campaign. Most Search Engine Optimisation Professionals believe thatyou should only accept links from relevant themed websites. The most important part of link building is the adaption of a successful link buildingstrategy. There are many link building strategies currently being used: link baiting,reciprocal link email blasts, directory submission, link to us page optimisation, paidtext link advertising, the list goes on and on. A good internet marketing campaignwill involve a combination of the most successful link building techniques for yourwebsites and your industry.